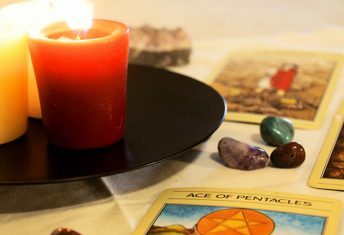 Tarot cards consist of symbols, images, colors, elements, numbers, astrology signs and archetypes, which give guidance and insight in understanding our minds and ourselves. 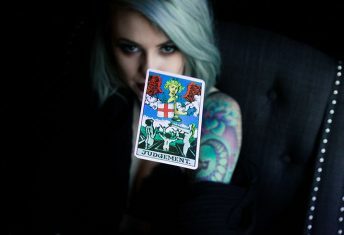 Some people linked tarot symbols to pagan beliefs and even to negative and dark sides because of its rich history, which begins in the 15th century. 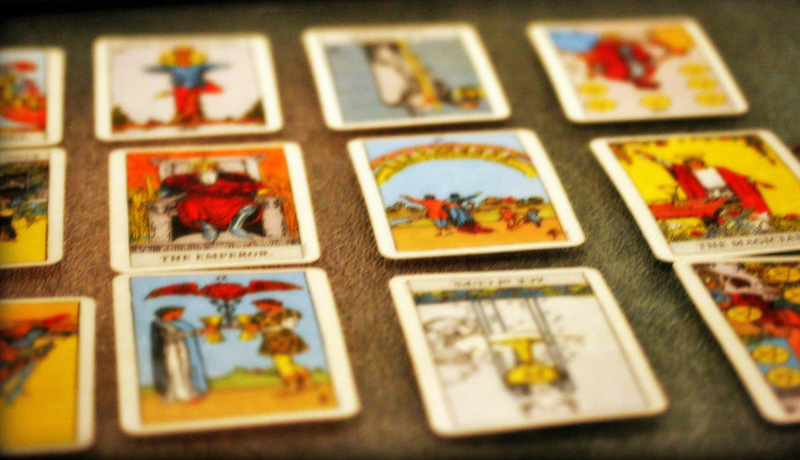 There are two types of tarot symbols – the Major Arcana and the Minor Arcana. 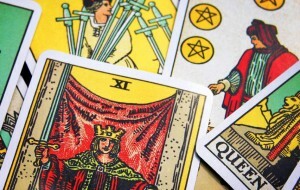 Major Arcana replicates the principle events in our lives while the Minor Arcana is based on experiences, situations and the path in the future. 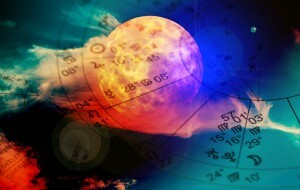 It is not easy to understand how the tarot exactly works or how it is possible to pinpoint the events in our lives. Tarot symbols work on our intuitive side and psychic abilities, which are difficult to comprehend by our intellectual side. In terms of tarot symbolism, the Fool Tarot Card is one of the most significant. As the first card of the Major Arcana, the Fool serves as a symbolic illustration of our beginning stage of development in our journeys through life. He characterizes the child found within us and he is the hero in the Tarot story. When the Fool appears in a tarot reading, he represents the soul which needs to grow within us. He is the seeker, constantly striving to reach new levels of enlightenment. His is there to remind us that in order too attain knowledge, we must stay true to our heart and follow our own path to wherever it may lead us. Tarot Symbolism of Zero. The Fool is the only tarot card associated with zero. 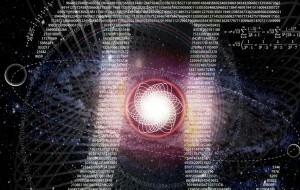 The Fool’s numerical association with zero has tremendous symbolic significance. Zero represents consciousness and, in this regard, it is the conscious state of being present without the influence of the ego. This is the first stage of development in which one can become aware of their own self, separate from their mother and separate from pure unconscious existence. This is the stage in which there is nothing but simple presence. It is the act of simply being. In Tarot reading, the number zero represents new beginnings or endings. Thus, the Fool’s journey can repeat itself throughout one’s own journey. Tarot Symbolism of The Cliff. The cliff the Fool treads upon represents his fall into human form. This is the stage in which the Fool must become conscious of his own self. He is unknowing, innocent and unbiased. He has no experience within the world and his journey lies before him. On another level, the cliff represents the Fools’ inability to ascertain the risks that he unknowingly faces. The Fool can be both optimistic and reckless. In tarot readings, the symbol of the cliff can also pertain to leaps of faith. The cliff always reminds us of divine intervention and our conscious contact with something greater than our selves. Tarot Symbolism of The Dog. Another important symbol of the Fool Tarot card is the dog that remains by the Fool’s side. The dog is the Fool’s trusted ally, constantly reminding the Fool of the dangers that lie ahead. Symbolically, he represents our instincts. His presence is a symbol of our internal gut reactions to situations that can be harmful or dangerous. 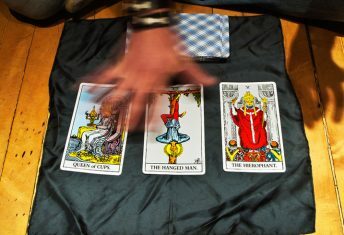 Tarot Symbolism of The Bag. The bag the Fool carries is the Fool’s early memories of pre-verbal experiences. In this sense, the bag represents the Fools’ unused knowledge. As the Fool journeys through life, he places everything he learns into his bag. The bag will serve as his container for his experiences. This body of knowledge will, ultimately, form his identity and unique perspective of the world. Tarot Symbolism of The White Rose. In the Fool’s hand there is a white rose. The rose is a symbol of one’s soul or unconscious. A white rose represents purity. This is childlike innocence of the Fool. There is an organic wholesomeness. The ego has not tainted the Fool’s perspective of the world. The Fool reminds us to constantly treasure the child within us and to see the world through his eyes: with purity, excitement and a carefree attitude. In Tarot reading, the Fool always reminds us to keep an open mind and be willing to take some risks. He is there to encourage a change in perspective, one that is closer to one’s heart. His message is always one of purity, innovation and creativity. When you see the Fool, be willing to try the unexpected and to gain knowledge from the experience.